Starting on 17th April, we’re running a weekly Read & Relax shared reading group at The Ale House in Old Swan. Shared reading is really simple – we come together to read aloud a story or poem and then talk about what we’ve read. It’s not like school, we’re interested in hearing about people’s personal thoughts and experiences rather than testing your literacy skills, and there’s no pressure to speak if you’d rather just sit back and enjoy the story. It’s also not a Book Club as you don’t need to do any reading outside the group or commit to coming every week – just drop in when you feel like taking a little time out for yourself. It’s a really relaxing way to escape the world for a couple of hours and connect with other people through great literature. It’s also a great way to meet people and make new friends in a relaxed & sociable environment. We’ll be in The Ale House (647 Prescot Road, L13 5XG) every Wednesday from 2pm – 4pm so come and give it a try – you might be surprised at how it brightens your day. After years of hard work, we're really excited that construction is finally about to start on-site! To celebrate and to let everyone know what to expect throughout the building phase, we're holding a project update event on Wednesday 3rd April at St Cecilia's Club on Green Lane from 6pm - 8pm. Please join us for a free drink and meet the contractors who will be introducing themselves and telling us a bit more about the construction programme. We'll also be sharing details of our upcoming community events & activities, as well as finding out what our volunteer research group have discovered about the history of The Old Library. Thank you for all your support and we hope you can join us at the start of this really exciting stage of the project! We’re passionate about making our area better for everyone so this year we’re joining in with Keep Britain Tidy’s ‘Great British Spring Clean’. We’re holding three lunchtime litter picks on Friday 29th March, Friday 5th April and Friday 12th April to help tidy up our streets. Meet us on the corner of Green Lane and Lister Drive at 12.30pm and spend some of your lunch hour making a difference in our community. We’ll provide all the equipment, just dress for weather and get involved! 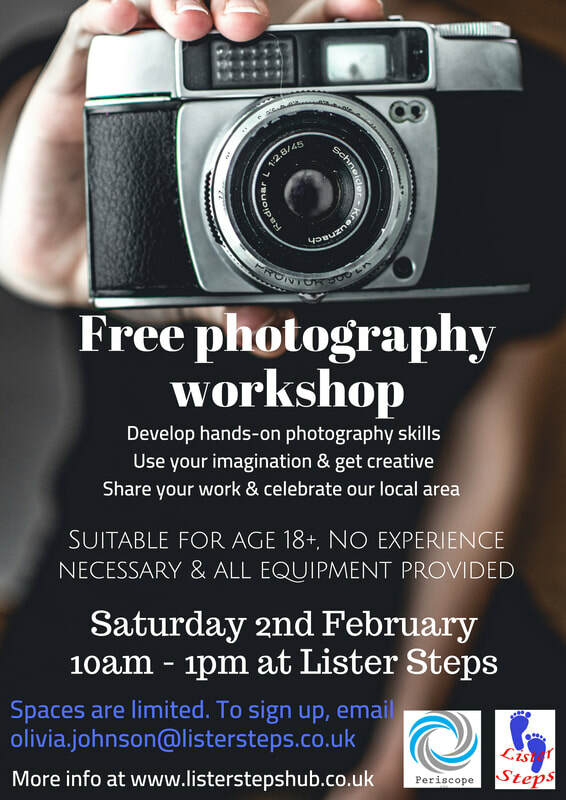 If you have any questions, email olivia.johnson@listersteps.co.uk or call 07988 778372 for more information. The Old Library re-launch event! We’re very excited to announce that on Tuesday 17th July we’ll be holding a re-launch event for The Old Library project. Join us for a free drink and meet some of our partner organisations as we reveal final designs for The Old Library. With capital works due to start in early 2019, we’ll be sharing our plans for the next few years and letting you know about the activities you can look forward to throughout the project. It should be a fantastic evening and the perfect way to kick off The Old Library project again after working behind the scenes for so long. The event will be held at St Cecilia’s Parish Club on Green Lane, Tuebrook from 6.30pm to 8pm. If you would like to come along, please RSVP to olivia.johnson@listersteps.co.uk and you’ll be entered into our prize draw to win a bottle of prosecco! 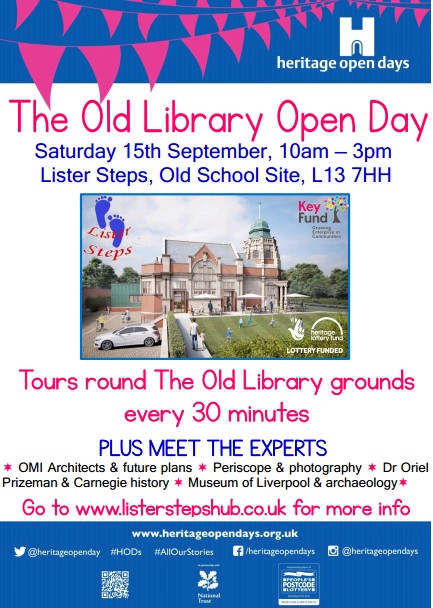 Thank you for your continued support for The Old Library; we can’t wait for you to get involved with the project and look forward to seeing lots of you there.